In the city of Enugu in the 1970s, young Nwabulu dreams of becoming a typist as she endures her employers’ endless chores. Although a housemaid since the age of ten, she is tall and beautiful and in love with a rich man’s son. Educated and privileged, Julie is a modern woman. Living on her own, she is happy to collect the gold jewellery love-struck Eugene brings her, but has no intention of becoming his second wife. When dramatic events straight out of a movie force Nwabulu and Julie into a dank room years later, the two women relate the stories of their lives as they await their fate. 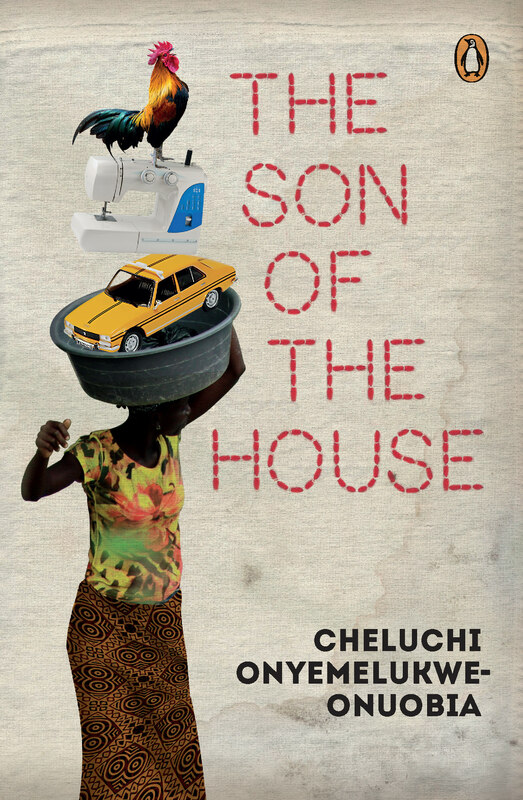 Pulsing with vitality and intense human drama, Cheluchi Onyemelukwe-Onuobia’s debut is set against four decades of vibrant Nigeria, and celebrates the resilience of women as they navigate and transform what remains a man’s world. READ AN EXTRACT from The Son of the House. Born in 1978 in Nigeria, Cheluchi Onyemelukwe-Onuobia is a lawyer and academic who has done much advocacy work on issues such as violence against women and girls, and health. She holds a doctorate in law from Dalhousie University in Canada and often advises international organisations. An earlier draft of The Son of the House was longlisted in Mslexia’s novel writing competition. She currently lives in Lagos.